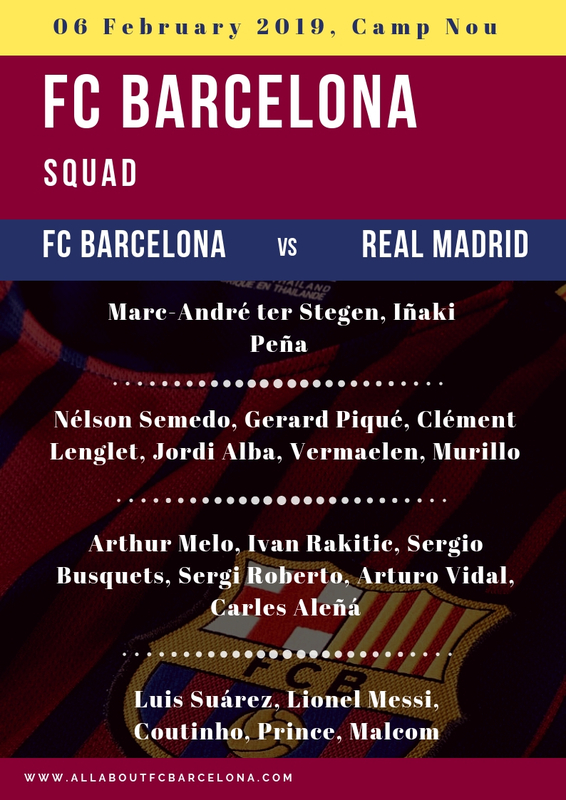 The Squad for the first leg of Copa del Rey semi-final with Real Madrid at Camp Nou has been announced. the big surprise has to be the absence of Dembele from the squad. There were rumors of him starting, but now with him being omitted, it is safe to say that he is still not fully fit. Another potential absentee was Messi, but he makes into the list. Barcelona is expected to start the strongest eleven possible. 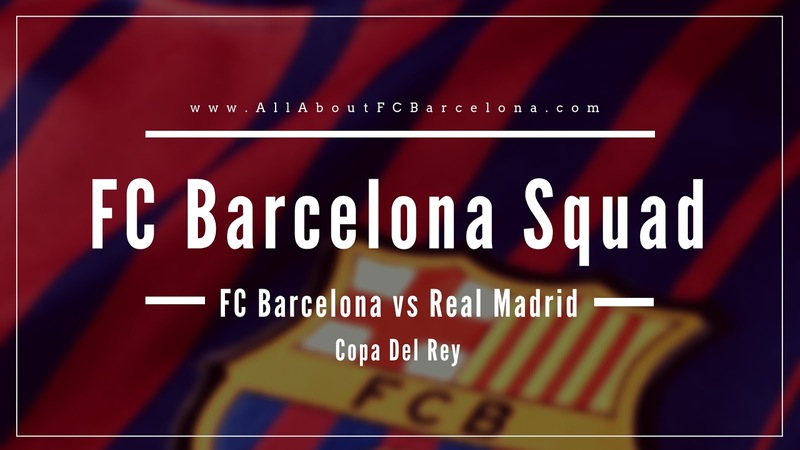 Possible Starting line up : ter Stegan, Alba, Pique, Lenglet, Roberto, Melo, Busquets, Rakitic, Coutinho, Saurez and Messi.